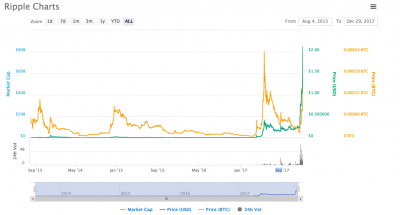 Ripple (XRP) has overtaken Ethereum to become the second most valuable cryptocurrency by market capitalisation in the world. Many see bitcoin as being the grail of cryptocurrency largely due to the fact it has increased dramatically in value, consistently remaining number one and predictably attracting the most media attention, however Ripple’s XRP currency has started to close the gap in the past few weeks after signing up several big financial institutions to use its technology. Ripple announced last week that three of Japan’s credit card companies have signed up to use it’s technology, this created a large increase in the price of XRP, which is up 6x in the past month and almost 300x in a year. Ripple’s current market cap would put it among the world’s 30 biggest banks, ahead of the banks such as Lloyds Banking Group or Japan’s Mizuho Financial Group. Ripple’s payments system uses blockchain technology to move money almost instantaneously and at low cost between countries and currencies. Ripple enables cross-border payments to be completed within 10-15 seconds, compared with a snail paced 3 days for interbank transactions using the archaic Swift network, which has been around for 44 years ago when it was created by some of the world’s biggest banks. 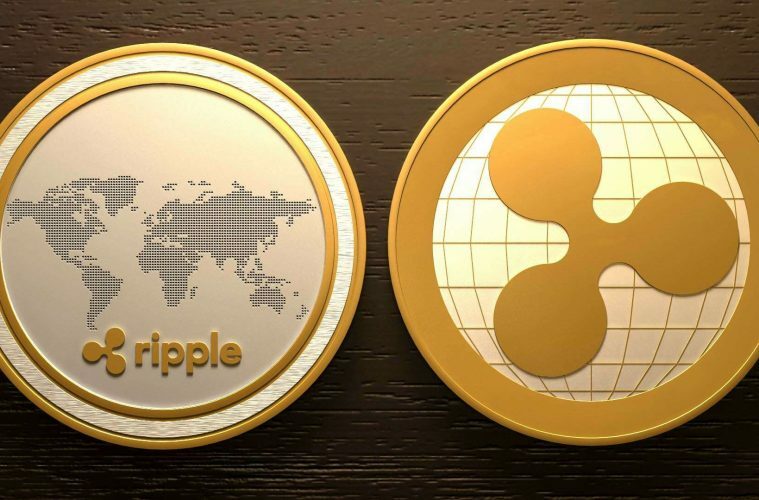 The recent increase in the price of XRP really started to get going after a group of Japanese and South Korean banks last week announced the launch of a pilot scheme to use Ripple’s technology for sending money between the two countries. Ripple has much more XRP in reserve than is publicly traded, giving it a war chest worth about $115bn, which it plans to use to encourage banks and other large financial institutions to adapt its technology. The US company has signed up more than 100 financial institutions to use its blockchain technology to move large sums of money across borders. These companies have been impressed and attracted to partner with Ripple as they offer various ways of making cross-border payments. One of which allows customers to buy and sell XRP to move money almost instantaneously between countries and currencies. Another uses a blockchain ledger to record and co-ordinate transfers between banks’ own accounts.